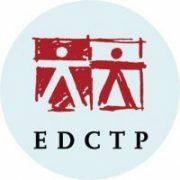 Fresh funding from the European & Developing Countries Clinical Trials Partnership (EDCTP) has been secured by a consortium comprising partners from Europe and Africa to advance the clinical development of a promising vaccine candidate to prevent Post kala azar dermal leishmaniasis (PKDL). PKDL often develops after treatment for visceral leishmaniasis and appears as a chronic dermal manifestation which can significantly affect the quality of life and can result in stigmatisation that has lifetime impact. PKDL patients are also believed to be source of Leishmania infections that lead to outbreaks and epidemics of visceral leishmaniasis. Two phase II clinical trials will be conducted in Sudan to evaluate the safety and efficacy of the vaccine in patients diagnosed with and treated for visceral leishmaniasis. The vaccine candidate to be tested within the PREV_PKDL project has been developed at the Centre for Immunology and Infection, University of York and Hull York Medical School, by Prof Paul Kaye and his team. The vaccine has already been shown to be safe, well tolerated and able to induce a good immune response in healthy subjects and is currently in a further safety study in PKDL patients.